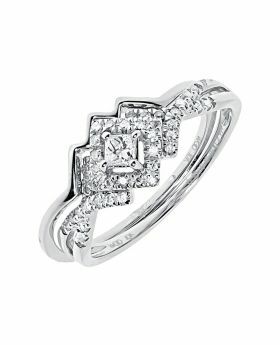 Have a specific question about this product? 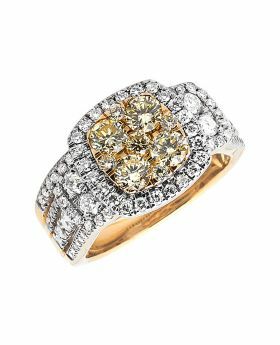 This ring comes in a beautiful presentation box. 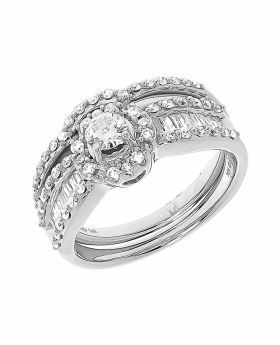 When you ask her to be yours forever, let the gorgeous diamond bridal set speak for you. 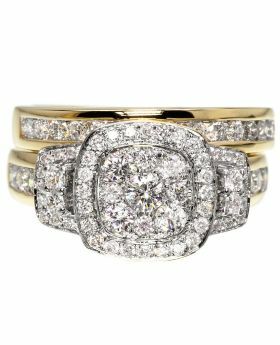 Fashioned in 10K yellow gold, the engagement ring showcases a combination and pricness-cut and round-cut diamonds on the ring. 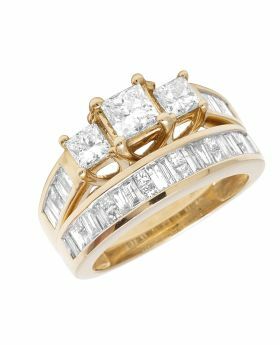 This ring is set in bridge-like setting where the 5mm X 5mm invisible-set princess-cut diamonds standing tall above the diamond-lined shank. 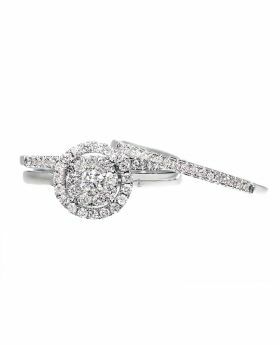 The shank glistens with round diamonds in channel-set across and under. 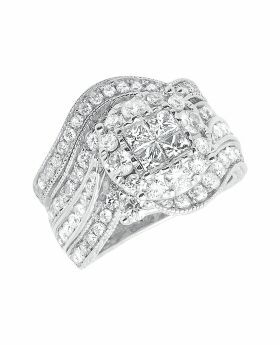 The band is lined with several round cut diamonds that mirror the engagement ring perfectly completing this elegant essembly. 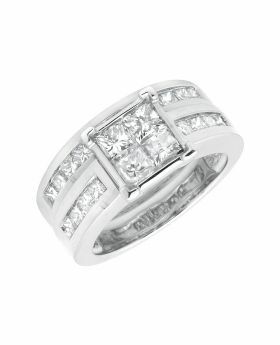 Radiant with 0.50ct diamond boasting Si2-I1 clarity and H-I color finished with a bright polished shine. 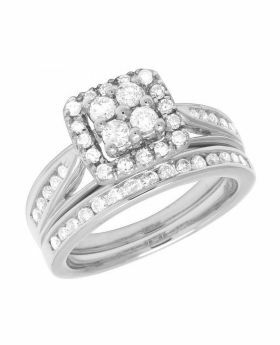 The ring is 5 mm wide, 2.5mm wide band, weighs approx 3.8 grams and sits 5 mm off finger when worn. 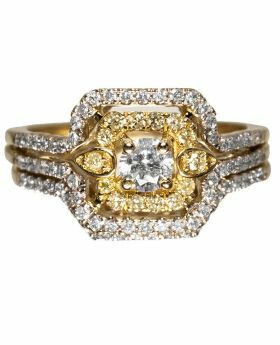 This unique bridal set is a certain to turn to. Available in size 7. Can be sized upon request for an additional charge.